Though Asher Gellis and Idit Klein only met as adults, they felt like they’d known each other their entire lives. As children, both felt at home in their respective Jewish communities. Asher attended a Conservative day school, youth groups and summer camps. Idit, the child of secular Israeli parents and a grandchild of Holocaust survivors, attended an Orthodox day school. Yet, as they got older, another aspect of their identity became equally as important. When Idit came out in college, she became the first openly gay person in a leadership position at her Hillel, and it was painful for her to see the community that had always embraced her respond with resistance and discomfort. Both began to feel isolated. Asher confronted his loneliness by actively seeking out other LGBTQ Jews; Idit wondered how many more like her were out there. Those they found almost universally reported negative experiences that drove them from the Jewish community. But where others saw a harsh reality, they recognized opportunity. Asher and Idit began organizing cultural and religious events in their communities,: setting up clubs for gay and lesbian Jews to meet and date, throwing holiday parties, hosting speakers and doing whatever they could to create the safe Jewish spaces they and others longed for. Slowly, more disaffected LGBTQ Jews came trickling in. Demand for programming began to far outstrip their nascent organizations’ resources and budgets. It was time to take their ideas to the next level. With Federation support, Idit was able to work for Keshet, her nonprofit, full-time, allowing her to build an even stronger community. And through Federation connections, she consulted with local Jewish institutions to help them become more inclusive. In Asher’s case, Federation leaders advised him on how to professionalize his organization, develop its leadership and create more effective partnerships. In turn, he guided Federation’s efforts to make the community more welcoming to LGBTQ Jews. A decade later, the LGBTQ Jewish community in the U.S. is 500,000 strong and growing, as more and more LGBTQ Jews feel comfortable coming out. Asher’s organization has become a local mainstay, drawing thousands of LGBTQ Jews and their families, friends and allies to its programming each year. He continues to blaze new paths, setting up a Warmline, the only national hotline offering social service referrals and other resources for LGBTQ Jews and their families; publishing an LGBTQ Haggadah in use around the world; and even organizing the first LGBTQ Birthright trip in 2013. As for Idit, Keshet is now America’s largest LGBTQ Jewish group, thanks in large part to the support of Federations. In addition to advocacy, Keshet advises synagogues, day schools, JCCs, Federations and more on LGBTQ inclusion and engagement, and has even worked with Kar-Ben Publishing to produce a children’s book starring a Jewish child with two dads, The Purim Superhero. It is this work with children and families that both find particularly rewarding—work that brings their journeys full circle. If you or someone you know needs someone to talk to, please call Asher’s Warmline. 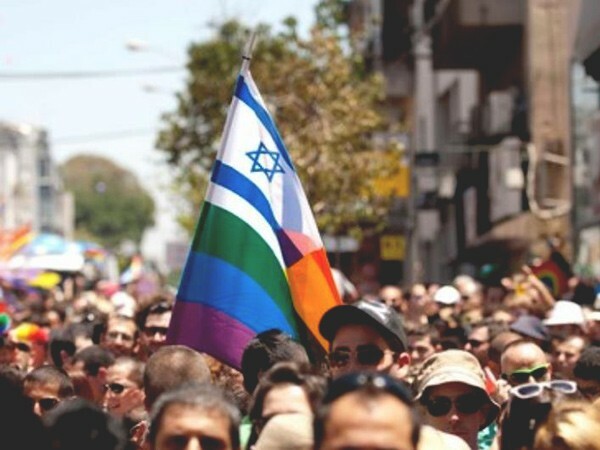 Join Idit and LGBTQ Jewish leaders from across North America on Federations' upcoming LGBTQ Mission to Israel. Learn more.